13,710 others viewed this post. This has to be one of the coolest things I’ve imaged to date. 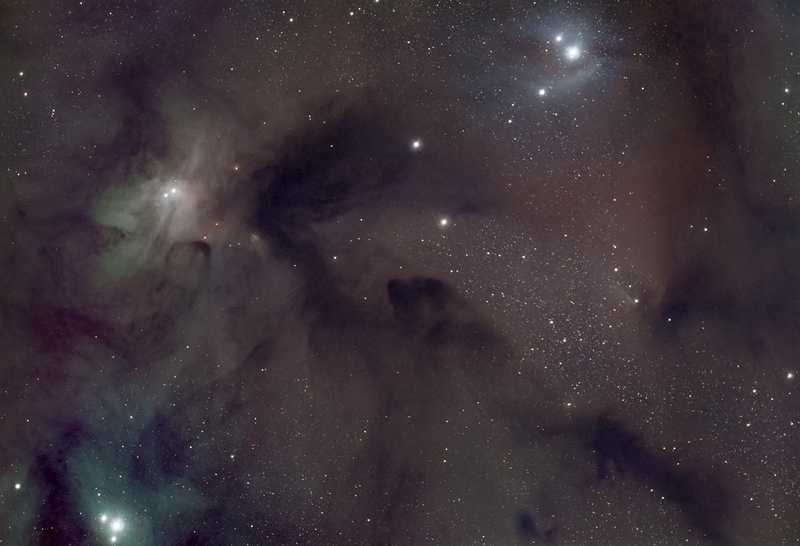 Seeing dark nebula clouds always seems so visceral, and comprehendible compared to glowing emissions. They somehow seem more real, like you could reach out and feel them unlike the abstract points of starlight or dreamlike energetic regions. This area is clearly visible in landscape Milky Way photos as an elongated “V” shape hanging just off from the main band, the apex of the “V” pictured here in the center. 2.75 hours taken over 2 nights in natural RGB with the Celestron 9.25″ Edge HD, Hyperstar and QHY12 CCD with 5 minute exposures. Processing in PixInsight & PS CC.